Most of us consider anti-bacterial mouthwash to be a preventative measure, fighting off bad breath and gingivitis. As we’re now finding out however, sometimes antibiotics do more harm than good. Antibiotic resistance is a growing problem throughout the world. The question is, does antibacterial mouthwash lead to bacteria resistant bacteria in the mouth? The jury’s not out, but there have been some studies done indicating that it can be an issue. To explain it simply, antibiotics kill most, if not all bacteria. Unfortunately, the bacteria left behind, is the most stubborn and hard-to-kill. So when antibiotics are overused, all of the good bacteria, and weak bacteria are wiped out, leaving only the strong, resilient bacteria. With none of the weak, or good bacteria to balance it out, and prohibit its growth, the strong bacteria grows stronger, more powerful, and even harder to kill. If we apply this theory to antibacterial mouthwash, it might make you rethink taking that after floss swish. It’s widely believed that oral flush, or candida overgrowth, in otherwise healthy adults, can be caused by overuse of antibacterial mouthwash. Candida is a fungus that lives in everyone, and is healthy and even beneficial when present in the proper amount. When there’s an overgrowth of candida however, it can cause a whole host of problems. From foot fungus to the issue at hand, oral thrush. It’s common knowledge that candida overgrowth is a direct result of antibiotics. This is why it’s recommended to take probiotics, and eat sugar free yogurt, while taking an antibiotic regimen. Luckily for mouthwash enthusiasts, the instance of oral thrush procured through mouthwash is very rare, and the result of chronic overuse. The experiment was a small one however, and a few discrepancies made the results less than conclusive. While these small studies are by no means conclusive, it does seem reasonable to limit your use of antibacterial mouthwash. Cutting it out altogether isn’t necessary, considering it’s plaque and bacteria killing properties are substantial. 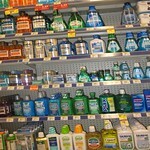 Nothing is good in excess, and it appears mouthwash is no different. Hopefully more conclusive research will be done in the future so we can better understand this issue.